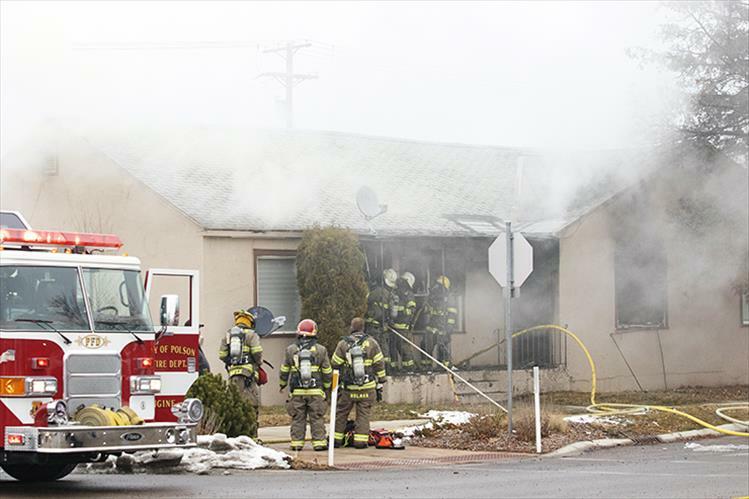 Polson City Fire and mutual aid engines from the Polson Rural Fire and Finley Point Fire departments were dispatched to the 500 block of Main Street for a reported structure fire on Friday, Jan. 11 at 2:10 p.m., according to a press release from the City Fire Department. One unit of an apartment complex caught fire. Polson Police Department officers removed an apartment occupant and began evacuating remaining units. The occupant of the apartment where the fire started was transported to St. Joseph’s Hospital to be treated for unspecified injuries. The majority of the fire damage was contained in the initial apartment; however, neighboring apartments received extensive smoke and water damage. An investigation into the cause of the fire is being conducted with the assistance of the Polson Police Department and the Montana State Fire Marshalls Office.